Pittas are a family, Pittidae, of passerine birds mainly found in tropical Asia and Australasia, although a couple of species live in Africa. Pittas are all similar in general structure and habits, and have often been placed in a single genus, although as of 2009 they are now split into three genera, Pitta, Erythropitta and Hydrornis. 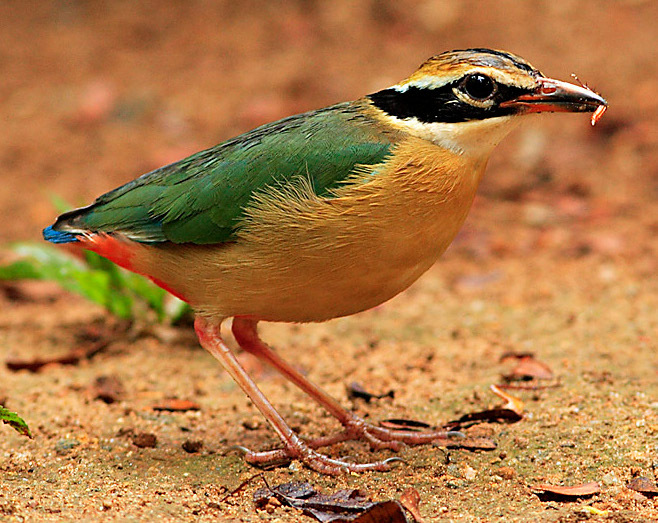 The name is derived from the word pitta in the Telugu language of Andhra Pradesh in India and is a generic local name used for all small birds. Pittas are medium-sized by passerine standards, stocky, with longish strong legs and long feet. They have very short tails and stout, slightly decurved bills. Many, but not all, have brightly coloured plumage.